I am loving this Versatile Clutch for ONLY $11.99 plus $2.99 shipping (Retail $49.99)! Our beautifully hip Oversized Versatile Clutch, where simplicity and beauty come together as one with a little hipster vibe added in! 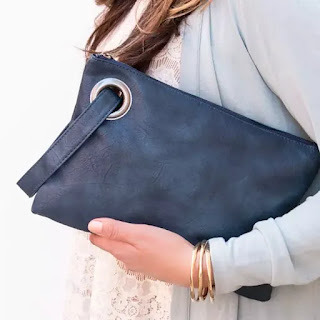 This amazing clutch is perfect for your everyday outfit or dressed up for a night out! It's not too big and not too small, just perfect for all your needs. You can't go wrong with this beautiful clutch!